Chowing down (twice!) at DanDan. Baking a peach & blueberry crisp. Savoring pastries at North Shore Boulangerie. Falling for hand-made jewelry by DSM Originals. Exploring Lake Park & Klode Park. Stumbling upon two Shorewood shops: The Workroom & Min's. Lunching with Dad at Café Corazon in Bay View. Making a stove simmer for fresh scents at home. Enjoying the view from The Journeyman. Overripe bananas are such a great excuse for baking. Thanks to those wonderfully brown, mushy fruits, I've whipped up simple banana muffins, banana muffins with bran, banana-oat pancakes, banana cake, (my favorite!) Biscoff banana bread. Well the banana bread I'm sharing today isn't topped with a cookie crumble — I wanted to try a healthier take. So I turned to a recipe from Cookie & Kate, as Kate hasn't failed me yet. I'm happy to say this one's a winner, too! 1. Preheat oven to 325 degrees and grease a bread loaf pan. Allow your ingredients to come to room temperature (take the eggs and milk out of the fridge and let them rest on the counter for 10–20 minutes as you do your prep work). 2. In a large bowl, use a whisk to beat the oil and honey/maple syrup together. Add the eggs and whisk well, then whisk in mashed bananas and milk. *Note: If your coconut oil solidifies upon contact with the other ingredients, let the bowl rest in a warm place for a few minutes or microwave for about 10 seconds. 3. Add the baking soda, vanilla, salt, and cinnamon. Whisk to blend. Switch to a big spoon and stir in flour, stirring until just combined (some lumps are ok). If your'e adding any mix-ins, gently fold them into the batter. 4. Pour the batter into the greased loaf pan. Sprinkle the top with cinnamon. Bake for 55 to 60 minutes, or until a tester inserted in the center comes out clean. Let the bread cool before slicing. *Note: To make this bread as muffins, divide the batter between greased or lined muffin cups. Bake at 325 for about 23 minutes. Coconut oil works really nicely in this recipe — if you can avoid using olive or vegetable oil, do it! You can also try replacing the oil with applesauce, if that's what you have on hand. As for honey vs. maple syrup, I ended up using half and half, simply because I was running low on both at the time. Overall, this bread turned out great! The texture is whole wheat-y — definitely more dense and textured than your typical banana bread. But the flavor is spot on. I'd say it's best warm and topped with a little butter — and cinnamon butter would be an absolute dream. Anodyne has my favorite coffee drink in Milwaukee: The My Buddy. It's a cup of frothy deliciousness flavored with almond and vanilla and the perfect touch of sweetness. Anodyne in Walker's Point also regularly hosts live music, which is such a treat. So already there's plenty to love about Anodyne — and then they started serving pizza! The wood-fire pizza is served only at the Bay View location. I've been itching to have coffee (or wine/beer) with a side of pizza, and finally got the chance last week. The pizza takes roughly 15 minutes to come out of the oven. Anodyne most eloquently describes it as "southern Italian style pizza; made from scratch, in a piping hot, wood burning oven." It's clear they put a lot of love into it. The crust has a wonderful consistency — not cracker thin, but not pan-style. I love this kind of crust. There are lots of delicious flavors on the menu. We tried the margherita with fresh mozzarella, basil, and red sauce — simple, fresh flavors. We also tried the arugula and prosciutto (give me anything topped with prosciutto please! ), and the special of the day: roasted red pepper with ricotta. Not pictured is the Bianca with white sauce, sausage, and arugula, which I think was my favorite. Everything we tasted was fresh and flavorful, and though my cohorts and I agreed that the pizza didn't change our lives, it certainly hit the spot. There's a laundry list of pizza places I've yet to try in Milwaukee, but if I'm craving that crazy duo of coffee and pizza, you know where to find me. 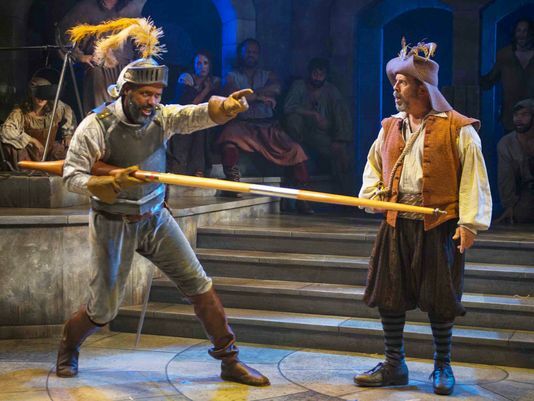 Milwaukee Rep presents "Man of La Mancha"
"Perhaps to be too practical is madness. To surrender to dreams — this may be madness. To seek treasure where there is only trash. Too much sanity may be madness — and maddest of all: to see life as it is, and not as it should be!" This line struck me on Saturday evening at the opening night of the Milwaukee Repertory Theater's Man of La Mancha. It's the classic tale of Don Quixote told in a five-time Tony-winning musical. Here's a short description from the Rep: "Imprisoned by the Spanish Inquisition, Miguel de Cervantes enlists his fellow inmates to help his defense by telling a tale of a mad knight (Don Quixote) who believes the wrongs of the world can be corrected as he jousts at windmills with his trusty sidekick Sancho and his beloved Dulcinea." Man of La Mancha is a fairytale, adventure, and a sadly-sweet story of a man who has seemingly lost his mind. And yet, in his delusions, Don Quixote encounters a more beautiful and exciting world, ripe with possibility. He is unflinchingly optimistic, seeing country inns as castles and kitchen maids as queens. Like the above quote says — this is a man who sees life not as it is, but as it should be. Nathaniel Stampley tackles the role of the starry-eyed Don in this Milwaukee Rep production, and to say he blew the roof off the Quaddracci Powerhouse theater is hardly an understatement. Stampley's voice is incredibly strong — dare I say flawless? At least he will live on in my memory as being flawless on opening night. His delivery is intensely heartfelt and, at times, simply adorable in his dreamy portrayal of a man blissfully living in fiction. The crowd favorite tunes were Stampley's "Dulcinea" and "The Impossible Dream" — which is the one song you may have heard, even if you haven't been exposed to the rest of the score from Man of La Mancha. It's a beautiful song, inspiring us to do what is right and just with every ounce of our being, no matter how hard, and to always strive to "reach the unreachable star." Stampley's rendering of this song stopped the show as applause and cheers grew louder and louder; I'd put it at one notch below a standing ovation. Other favorite songs came from Sancho, played by Michael J. Farina. He's the trusty sidekick with a belly full of proverbs and one-liners to keep the crowd chuckling. I loved Farina's "I Really Like Him" — a charming little song about why he remains faithful to Don Quixote's madness. The reason? He simply really likes him. And, clearly, I really liked him, too. Other things of note: The set is gorgeous — the most ambitious the Rep has ever brought to life in the Quadracci Powerhouse. They've actually extended the stage over two of the aisles for an incredibly dynamic scene. If you can, definitely sit at the orchestra level rather than the balcony — I found it difficult to see at times from my Balcony Center Row B. Also note that the show is two hours long without an intermission. So bring your well-rested self, Kleenex (should you get a little teary eyed), and an open heart. Man of La Mancha is playing at the Milwaukee Rep now through October 30th. Information and tickets at milwaukeerep.com. Sometimes nature blows my mind, and last weekend was one of those times. 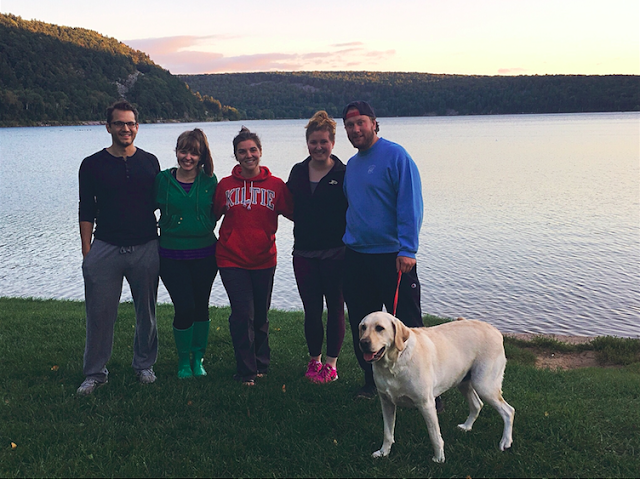 I've been to Devil's Lake once before — a quick drive-through one Thanksgiving weekend when the whole lake was snowed over. Well the view was a million times better on a warm end-of-summer day (go figure!). Our group started hiking around noon and were out for a solid four hours, mainly because we got a little lost. The trails are not expertly marked at Devil's Lake, but we didn't mind. This is a place where getting turned around isn't a bad thing. We started hiking up the East Bluff trail — so many bluff photo ops! Then we headed for Devil's Doorway and spied stunning views. An eagle even photo-bombed Adam. We finally found the Doorway! Majestic, ominous, a must-see. The day ended with taco dip, Oreos, and a sunset by the lake. Nature, it's been a pleasure! Let's do it again next summer. Dandan is a noodle dish with origins in Chinese Sichuan cuisine; it's also the name of two Milwaukee chefs who grew up eating Chinese food, love to cook it, and recently collaborated to create DanDan in the Third Ward. Holy deliciousness Batman! After one meal at DanDan, it's the spot I'm most eager to return to and most ready to recommend. Let's start with the interior. It's a bustling place — plenty spacious, but not sprawling. Our group arrived after 8:00 on a Friday night and had no wait, though most tables were filled. If you want to go during prime dinner hours, you might want to see about making a reservation, or be prepared to wait. With neon Chinese characters over the bar, red accents throughout, and patterned walls, DanDan certainly isn't lacking in cool factor and ambiance. Now for the food. We started with the Sichuan Pork Dumplings. The dumplings qualified for the "on fire" warning on the menu, so proceed with caution. Though the flavor was delicious and I enjoy some spice, one was enough for me. That said, Adam lives for spice and was talking about these dumplings for a solid week after devouring them. Then it was on to the Tiger Salad: Crispy duck, plum vinaigrette, apples, cashews, peaches, and celery. This salad is inspired. The crispy duck wins, but really the mix overall is tasty as all get out! If you're craving some greens, I would recommend the Tiger Salad without question. It will take you to a happy place. Now for the entrées, which we shared between us. First up was the General Tso's Cauliflower with chili oil, scallions, ginger, and bok choy. Don't be fooled by the cauliflower — this dish has a ton of flavor, great texture, and left me craving more. If you're the type who likes to order fried chicken in sauce when you do Chinese take-out, the General Tso's Cauliflower is for you. Our last and arguably favorite dish was the BBQ Pork Fried Rice, which we had made gluten-free (there are indicators throughout the menu of items that can be made gluten-free, as well as symbols for dishes that are spicy, on fire, containing peanuts, or are vegan). It's hard to describe this fried rice except to say the flavor is unlike your typical Chinese fried rice. Everything at DanDan is next level, for sure. This rice is the most comforting, scrumptious, melt-in-your-mouth pork dish — and I'm drooling now, so thanks DanDan. A couple other things to note: There's a drink you can order where they light a cinnamon stick on fire. Every 10 minutes or so, the place lights up with this gloriously sweet smoked cinnamon aroma — it drives your senses crazy in the absolute best way. Then there are the prices at DanDan. Yes, you'll find Peking Duck on the menu for $69 — but our fried rice was $12, the cauliflower $14, the salad $8. It's not outrageous, and the flavor and experience is so worthwhile. Lastly, the service rocked, too. How could I love anything more? Lions and lighthouses and Pokemon — oh my! Confession: I've lived in and around Milwaukee all my life and had never seen the North Point Lighthouse until about a month ago. I'd been to Lake Park Bistro a few times with my family, but never really explored Lake Park itself. Confession number two: What finally brought me to Lake Park was the Pokemon. Yes, there are Pokemon Go hotspots in Lake Park — so much so that the parks department even asked for the game developers to remove Lake Park as a Pokemon destination, or at least apply for a permit or something. Before all this permit business, I tagged along with my brother one night for a little Pokemon hunting. What I saw were a whole lot of zombies (and when I caught a Pikachu I was happy to briefly be one of them!) — and the beauty of Lake Park. There are stone lions, a bridge decked with wrought iron, a postcard-ready lighthouse, a rocky waterfall (albeit a small one), and a lovely glimpse of the lake. My brother told me that, given the Pokemon craze, the park is always busy now — except, maybe, if you go at the crack of dawn. So that's exactly what I did one Saturday morning. At that time, there were some runners, some dog walkers, and just two kids playing Pokemon Go — it was wonderful! Try parking near Lake Park Bistro and walk south. That's where you'll run into the lions and lighthouse. Although I felt a little silly not ever knowing this spot existed (it's nestled just-so and you can't see it from Lake Drive), I'm happy I finally stumbled upon it — better late than never. After stumbling upon Min's boutique in Shorewood a few weekends ago, Adam and I strolled a couple blocks farther north on Oakland Avenue — an area we had yet to explore, despite living nearby for a while now. Just past the Colectivo is a home décor, furniture, and interior design shop called The Workroom — another local gem! If you squeal when a new Crate & Barrel or West Elm catalog finds its way to your mail box, you'll squeal upon entering The Workroom. So many things caught my eye: Unique lighting, gorgeous pillows, painted tables, candles, and drool-worthy goodies for your home — like shapely vases and coffee table books. Some pieces are fresh and modern, others upcycled — and somehow the mix works perfectly. Adam and I didn't spend a ton of time in The Workroom, since we're not currently in the market to drop a chunk of money on quality home furnishings. But if we were, you better believe I'd stop at The Workroom before heading to any furniture chain store. In fact I'm currently concocting an excuse to return — like that we're in dire need of a new lamp in the living room (ours has a shaky lampshade — that's grounds for an upgrade, right?). I'll leave you with these words from the owners: "As an independently owned interior design firm and lifestyle shop, our philosophy remains. Offer a personalized experience, create unique interiors and soft home goods, and spark accessible, livable design." After walking to the boulangerie a couple weekends ago, Adam and I strolled up Oakland Avenue. We've lived in the neighborhood for over a year, and yet I've never explored anything beyond the boulangerie (though I do know there's a Colectivo up that way). It was during our expedition into the heart of Shorewood that we discovered more than one boutique shop worth visiting; the first was Min's. 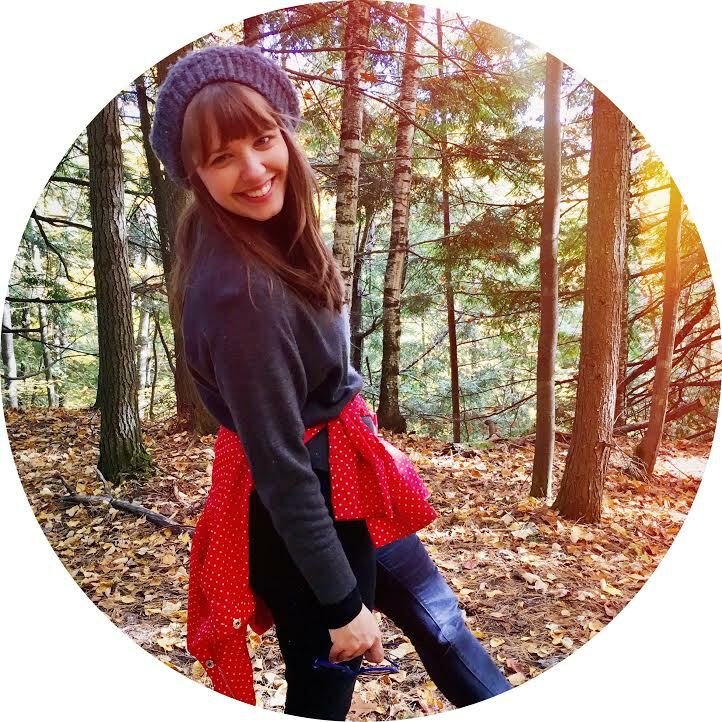 Min's is self-described (on Facebook) as a place filled with "fine clothing, jewelry, accessories, and gifts for the discerning eye; natural, durable, timeless." I would also add the words "global" and "worldly" to the roster. The pieces in Min's are certainly high-end, for the most part, with a distinctly ethnic flair. They seem tailor-made for a fun, well-traveled, and cultured woman. The jewelry, which I believe hails from various artists, is pretty consistently boho-chic. Though my photos hardly do these pieces justice — the gemstones are quality and the details are charming in person. There's also a glass case filled with more elaborate accessories. The prices aren't for measly pocketbooks, however — I'd say $50 is the average necklace price. But they'd make wonderful gifts come holiday time, when we can maybe justify spending a little more on the stylish people we love. I spoke briefly with the owner of Min's, Lynn Waite, who told me she picks up a lot of her goods during her travels and from shows in New York. According to a 2014 article from Milwaukee Magazine, Lynn opened shop in 2012 and has since ramped up production of her own designs, too — linen cropped jackets, simple sheaths, long coats, tops with hand-stitched embellishments. And the garments are sewn and assembled locally! Visit Min's in Shorewood and see what wonders you can find; this boutique is definitely worth a stop. To clarify: Café Corazon hasn't moved from Riverwest, it's just opened a second location. And the new digs on KK in Bay View aren't really new new — it's been there for months. Still, it's worth a PSA in case you didn't know it existed! I've been a handful of times for lunch (working nearby is one part awesome, one part dangerous) and have never been disappointed — just like Corazon's brunch in Riverwest. Most recently, I spent a lunch break with Dad on the Café Corazon patio. The sun was kinda on the hot side, but we figured we wouldn't have many days left for dining al fresco in summer 2016. The outdoor seating is really cute with bright red tables and chairs, a wood trellis, string lights, flowers, and vibrant jumbo paintings. Now be forewarned of Café Corazon's one downfall: There is no complimentary chips and salsa. Dios mio! How can they get away with this?! No comprendo. Given how much we Mexican food lovers enjoy filling up on chips and salsa before dinner, it kinda boggles my mind. But maybe they have less waste this way? Maybe they're trying to do our waistlines a favor? Waste + waist... That must be it! Either way, once the food arrived, I didn't miss the chips and salsa. And you should know that the prices on the lunch menu are very good, in my opinion. On my last visit to Café Corazon, I polished off the Breakfast Tostada: Any style egg, black or pinto beans, choice of meat, rice, lettuce, tomato, crema, avocado, and queso piled high on a hard corn tortilla. The price? $6. So worth it. My dad enjoyed the Wet Burrito ($9): Choice of meat, rice, black or pinto beans, cheese, avocado, and crema smothered in enchilada sauce. It's supposedly a "smaller version" of the dinner burrito; if this is small, I'm a little concerned at the size of the dinner portion. The lunch version is huge! But my dad finished it all, with a little help from yours truly. He said it was one of the best he's ever had. As for other goodies on the lunch menu, there's a Taco Truck Plate for $8: Two corn tortillas with choice of meat, dressed with onion, tomato, cilantro, radish, and queso fresco — served with rice and beans. There's also soup, salad, breakfast tacos, and other scrumptious-sounding egg dishes doused in saucy goodness. Looks like I have some work ahead of me, eating my way through the rest of the Café Corazon menu. It's a tough job, but somebody's gotta do it. I'm lucky I snapped a picture of this peach and blueberry filling before I baked it; after it came out of the oven there was hardly anything left to take a picture of. The flavor turned out great, and I adapted the original recipe a bit — adding some extra spice and using cornstarch instead of flour. More on that later. I'm calling this a crisp instead of a crumble because the topping sort of melted together instead of remaining crumbly. I like the topping on the Pioneer Woman's peach crisp better. Even so, the blueberries, peaches, and sugary topping were delish right out of the oven, especially with a scoop of vanilla ice cream! *You could use thawed frozen fruit if you like, but it will be more juicy — try draining some of the juice before you start. 1. Preheat oven to 350 degrees. For the fruit filling: Peel peaches and slice into thick wedges. Place them in a bowl and add lemon zest, lemon juice, sugar, flour/cornstarch, vanilla & almond extracts, and cinnamon. Stir to combine. Gently mix in blueberries and set aside. 2. For the sugar topping: Combine flour, sugar, brown sugar, salt, cinnamon, and butter in a bowl. Use a mixer, a fork, or your hands to mix until crumbly. 3. Spread the fruit filling in an even layer in a medium-sized baking dish (mine was about 8 by 10 inches) or individual ramekins. Evenly sprinkle the sugar topping over the fruit. Bake for 40 to 45 minutes, or until the topping is browned and crisp and the juices are bubbling. Serve warm with a scoop of ice cream. *Flour/Cornstarch Note: Reviewers of the original recipe suggested replacing flour for cornstarch, both for a glossy appearance and a thicker filling. The filling was perfect right out of the oven — but the leftovers became a little gelatinous after a day. Next time I might try using just flour, or half cornstarch and half flour. After lemon, peaches and blueberries might be two of my favorite fruits to bake with. If you haven't tried them together in one dish, you don't know what you're missing! This crisp comes together really easily, do there's no time like the present to try this dynamic fruit duo. Enjoy!